1. Appointment of Ahmed Joda to lead Buhari’s transition committee. This is a powerful symbolic statement. Malam Ahmed Joda is one Nigerian who embodies brilliance, probity, decency, and fair-mindedness all at once in equal measure. I had the privilege to work with him over a decade ago at the Presidential Research and Communications Unit at the Presidential Villa. I was one of the journalists recruited to start the unit. The day I was invited for an interview for the job, I had written a cover story for the Weekly Trust that thoroughly embarrassed the Obasanjo administration. Titled “Obasanjo’s men take over INEC,” the story detailed, with irrefutable documentary evidence, how almost all the commissioners that the Obasanjo administration had appointed to INEC were card-carrying members of the PDP. One of Obasanjo’s really close aides who was a panelist at the interview was furious with me. He observed that I had written several negative stories about the Obasanjo administration and wondered why I wanted to work for a government I disdained. I have neither the space nor the inclination to recount the tensile back-and-forth exchange that ensued between the presidential aide and me. But I basically said my job as a journalist was not to make governments happy, but to hold them accountable to the people, and that I didn’t understand the job as I was interviewing for as a job for the person of Obasanjo. I gave up hope that I would get the job until a frail, light-skinned old man, that I later learned was called Ahmed Joda, spoke up. He said the aggressive aide was being “short-sighted” and recalled a similar experience he had when he applied for a scholarship to study in the UK in the 1960s or thereabouts. He had written pungent, hard-hitting articles against the northern Nigerian government in, I think, the New Nigerian— or its precursor. The interview panelists, he said, reminded him of his unfriendly articles and wondered why he wanted the assistance of a government he was critical of. He recalled that it was the only white man on the interview panel that chastised the Nigerian panelists as “short-sighted” and insisted he be given the scholarship. He retold his story to draw parallels between his experience and mine and to say that the short-sightedness of overzealous government officials often robs governments of talents. He told me based on my CV and my performance at the interview the job was mine if I wanted it. But it isn’t because he gave me a job in the presidential villa that I respect him a lot. I got to know him even more when I started work at the Villa. He was the chairman of the unit and presided over our meetings periodically. I found him to be incisive, upright, and incorruptible. He resigned from the unit when he thought it had betrayed the ideals it was set up to achieve. Anybody who knows just a little bit about Ahmed Joda knows he disdains corruption and influence peddling and cherishes integrity and meritocracy. That Buhari chose to make this oasis of honesty in our desert of knavery the head of his transition committee sets a great tone for his government. 2. APC’s swift repudiation of Oba of Lagos’s royal indiscretion. When Oba of Lagos Rilwan Akiolu said he would drown Igbos in Lagos in the lagoon if they didn’t vote for the APC governorship candidate in the last general election, many APC fanatics rose in defense of the Oba’s unwise words. But APC came out to unequivocally denounce and repudiate it forthwith. PDP ignored several such incendiary statements by its supporters in the past. It’s refreshing to have a political party that can condemn what is wrong even if doing so may put it at odds with its fanatical base. 3. Buhari’s unaccustomed broadmindedness. I will give just one example. To the annoyance of APC fanatics, Buhari has been actively promoting the candidacy of a Jonathan minister by the name of Akinwumi Adesina for the presidency of the Africa Development Bank (AfDB). Adesina, in addition to being a Jonathan minister, had maligned Buhari in a now deleted tweet, which Buhari is aware of. I can’t find any parallel for this show of maturity and magnanimity in Nigeria’s recent history. 4. Swift condemnation of the AIT ban. When it was brought to his attention that an AIT journalist had been “temporarily banned” from covering his “personal” activities by a security aide, Buhari swiftly overturned the ban and cautioned his aides to never again transgress the bounds of their duties and powers. He did this while APC fanatics were hailing the ban and defending it with all sorts of contemptible sophistry. 5. 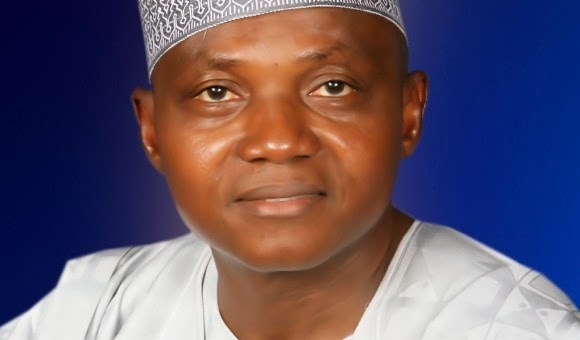 Garba Shehu as Buhari’s media person. People know Malam Garba Shehu as the suave, urbane, and cerebral former president of the Nigerian Guild of Editors who has brought panache and sophistication to reputation management in Nigeria, first as former VP Atiku Abubakar’s Media Adviser and now as APC’s Presidential Campaign spokesperson. But I know him as much more than that. 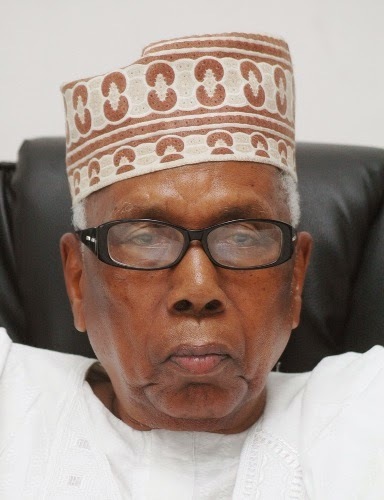 When he taught me for two semesters in my final year at Bayero University, Kano while he was Editor-in-Chief and MD of Triumph Newspapers, he bowled me over with his brilliance, intellectual depth and, above all, tolerance for dissent. I almost never agreed with him during classes. I was an aggressive, dyed-in-the-wool Marxist who disagreed with his “bourgeois” intellection. But he was incredibly tolerant in ways I had never experienced. 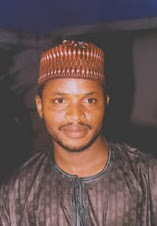 One day, my classmate, Kabiru Dahiru Marafa, told me to tone down the pungency of my arguments with Malam Garba. He said the man could decide to “fail" me. So, the following day, I didn’t talk in class. But Malam Garba was uncomfortable and wanted to know why I was quiet. He insisted I speak. We were not used to that sort of discursive accommodation from our full-time lecturers. I not only got A’s in both semesters he taught me, he almost gave me a job at the Triumph after graduation, but I accepted the offer to go to Kaduna to join the emergent and promising Weekly Trust. When I aggressively challenged him in class, I didn’t expect him to like me, much less give me a job. But he described himself as a believer in discursive pluralism. When I wrote a critical article on Atiku some 9 years ago, he didn’t attack or chastise me—like most media advisers would. He wrote to affirm my right to my opinions and to point out what he agreed and disagreed with in my write-up. I was humbled. If Buhari chooses Garba as a spokesman or as a minister of information I am certain we would witness a new era of urbane information and reputation management. Dissent won’t be dismissed as hostility that deserves to be crushed with verbal sledgehammers. 6. Buhari’s symbolic but nonetheless significant gestures like telling family members to steer clear of his government and telling aides to obey traffic laws inspire me. President Barack Obama is famous for saying “Africa doesn't need strongmen, it needs strong institutions.” But strong institutions don’t come out of thin air; they are built by strong men through the strength of their personal example. I hope Buhari is the strong man who will build strong institutions in Nigeria with the strength of his character. Ultimately, the people Buhari will disappoint, I hope, would be his visceral critics and his hyper-partisan supporters who want him to be a northern version of Jonathan—petty, vindictive, small-minded, and intolerant. This fills me with hope.